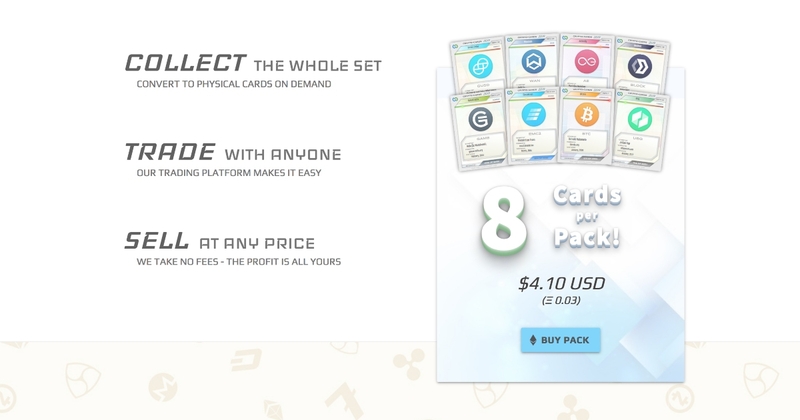 Limited Edition, Collectible, Crypto Trading Cards. Buy, Sell and trade with anyone - We take No Fees! 8 Random Cards per Pack with 1 in 12 odds of finding a Legendary Card! You set the price of your cards. You negotiate your trades. You have full ownership and control!